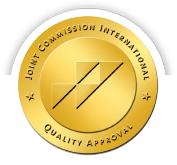 At FV Hospital, we follow international standards for healthcare, customer service and management. Therefore, our price schedule is similar, though less expensive, to comparable modern hospitals in South-East Asia. However, in order to remain affordable for many of our patients who do not have a medical insurance, we have developed a special low-price structure with discounted and packaged prices which is applicable only to non-insured patients. These subsidised prices are not applicable to patients covered by a medical insurance, whether the insurance company has or not a direct billing agreement with FV Hospital. During your visit to FV Hospital, you will be asked if you have an insurance policy and its type of coverage (inpatient only, outpatient expenses, exclusions). Thank you to providing us with this information. If we do not have yet a direct billing agreement with your insurance company, we will contact them to see whether such an agreement can be established to give you a better service. With your support and understanding, FV Hospital will continue to provide international standard healthcare for as many patients as possible. The payment policy at FV Hospital is straightforward and transparent. All payments by patients should only be made against an official FV Hospital invoice and be paid to the cashier at the official cashier points. A receipt is always available upon request. It is strictly forbidden for any staff member, medical or non-medical, other than a cashier, to receive a payment from a patient or their family. If you are asked to make payment without an invoice by any staff member, or if you are in any doubt about the validity of any payment you are requested to make, then please contact the Guest Relations Manager (office in the main lobby; internal extension 7700; mobile: 09 62 62 78 46) or any other senior manager so that we can resolve the situation. FV Hospital provides a package pricing system in order to minimise and simplify our patients’ surgical and maternity charges. Each package has a carefully calculated fixed price, which is inclusive of nursing care, standard medications, operating theatre time, anaesthesia and hospitalisation fees for a semi-private room and other charges related to your stay. In order to keep our packages as affordable as possible, all prices have been calculated according to the requirements of standard surgical procedures and average recovery times. Complications that may lead to additional treatments, procedures, investigations, medications or extended hospitalisation are not included in the packages. Package pricing is extended only to patients paying for themselves and does not apply to patients covered by health insurance. No discount of any kind can be applied to package prices, and all prices are subject to change without prior notice. In order to cover your expenses, we require you to make a deposit before hospitalisation. The admission officer will inform you of the deposit amount on the day of your pre-admission meeting. This deposit must be submitted the day of admission. During your hospitalisation, if your charges exceed the amount deposited, please be informed that a member of the Patient Finance department will contact you to request another deposit top-up. For any information regarding the deposit, please contact the admission officer before your hospitalisation via telephone at (028) 54 11 35 28 (or extension 1206). If you require information during your hospitalisation, please contact your Guest Relations Officer. If you cancel your surgery less than two working days prior to your scheduled admission, the deposit for operating theatre reservation is non-refundable. If you have any queries about your bill, or would like an itemised list of your charges, please contact our Guest Relations Officer, the ward secretary on your ward or the main cashier on the ground floor, all of whom will be happy to help you during working hours (Monday to Friday, 7:00 am to 6:30 pm; Saturday, 7:00 am to 3:00 pm). During off hours, please go to the Accident & Emergency department cashier. 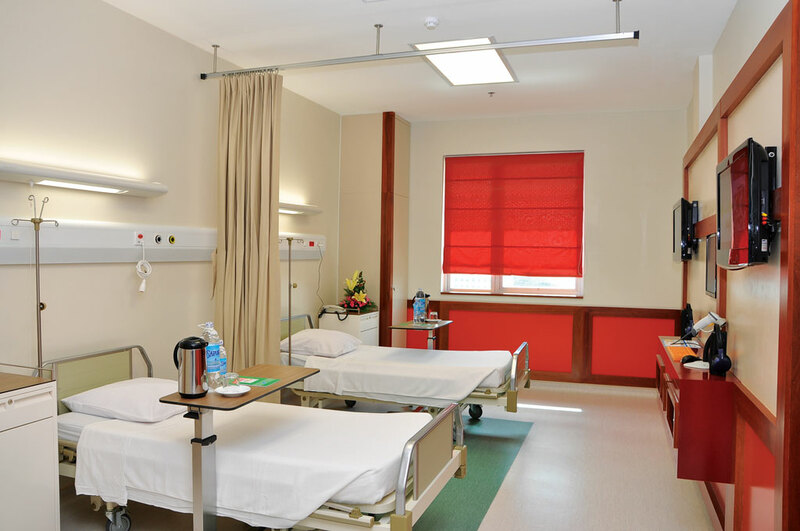 If your hospitalisation is not part of a surgical package, daily room fees will apply. These fees include 24-hour nursing care, three meals per day, in-room amenities (cable TV, nurse call system, en-suite bathroom, ADSL internet connection, etc.) and a selection of standard consumables (needles, syringes, compresses, etc.). If you require a hospitalisation in ICU that is not included in your surgery package, please be advised there will be an extra charge for this. Your Guest Relations Officer or the ward secretary can give you further information about these extra additions to your bill. All investigations, medications, intravenous infusions, blood transfusions, selected consumables and specialist consultations will be charged to your bill. If you should require isolation for medical reasons, such isolation will incur an additional charge as it requires extra materials and staff (except where isolation is included as part of a package). Your Guest Relations Officer or ward secretary will give you further information about these extra additions to your bill. A daily doctors’ fee is charged to your bill for each day spent in hospital. This covers the cost of medical care provided by the doctors and their assistants. FV Hospital wants to serve your needs in a financially responsible way. We charge a fair and affordable price for excellent medical care and services. Though you may not always see it, your doctor needs to do a great deal beyond the time spent directly with you to give your health our full attention. Create or maintain your medical record. Review current X-ray and scan reports, compare them with reports of previous scans, and, when necessary, consult with the radiologist. Prepare referral letters to additional specialists, as needed. Communicate with pharmacist regarding your prescriptions. Complete insurance application and claim forms. Draft letters to obtain any medical services, instruments, or prescriptions that you may need. Draft reports, including discharge summary, prescriptions and others. All of these activities add to our costs but are necessary for providing the highest quality care possible. We hope this explanation of doctors’ fees is helpful. We look forward to caring for you during your lasting relationship with FV Hospital. We are committed to providing you with world-class care at the lowest price.